Gunmen attack security forces near St. Catherine's Monastery in Egypt's south Sinai. Gunmen attacked security forces near the St. Catherine's Monastery in Egypt's south Sinai on Tuesday evening, killing at least one police officer and injuring four others, according to Reuters. The Islamic State (ISIS) claimed responsibility for the attack on a police checkpoint about 800 meters (yards) from the entrance to the monastery, one of the world's most important Christian sites, the local health ministry said. 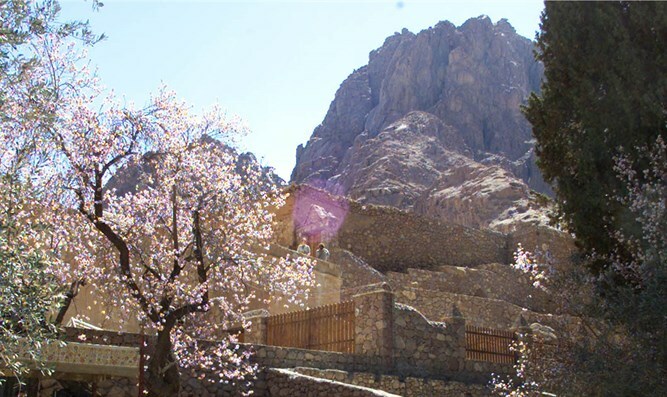 St. Catherine's, founded in the 6th century and located at the foot of Mount Sinai, is one of the oldest Christian monasteries in the world and a UNESCO world heritage site. The attack near the monastery came a week after the bombings of two Coptic Christian churches in Egypt, which were also claimed by ISIS. At least 43 people were killed in the bombings in Tanta and Alexandria, which occurred as worshipers were gathering to mark Palm Sunday. Following the attacks, Egyptian President Abdel Fattah Al-Sisi declared a three-month state of emergency in the country. Coptic Christians in Egypt have continuously been targeted by terrorist attacks. In 2015, ISIS released a video purportedly showing the beheading of the Coptic Christians it had captured in the Libyan capital Tripoli. Egypt has for years been battling an Islamist insurgency in the northern Sinai, which gained pace after the military overthrew President Mohammed Morsi of the Muslim Brotherhood in 2013. Most of the attacks in Egypt have been claimed by the Sinai Province, ISIS’s branch in the Sinai.